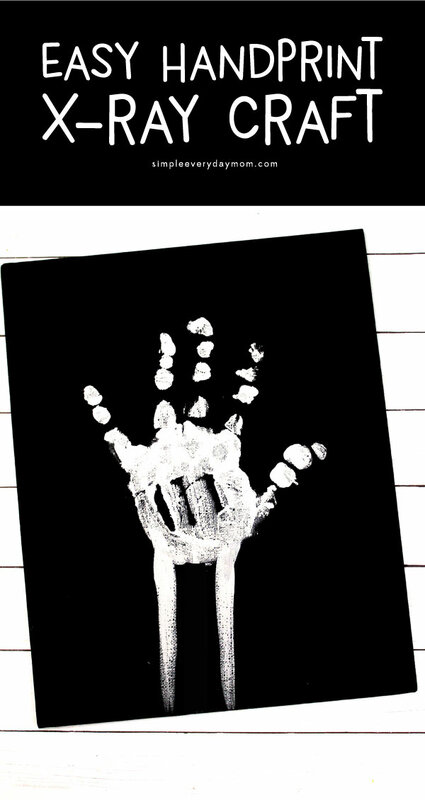 Inside: Make this simple skeleton handprint craft for kids to teach them about the bones in the hand and wrist. We’re back again today to show you our newest human body activity for kids! So far we’ve learned about human organs with these human body worksheets for kids, discussed how our lungs work with this lung craft for preschoolers, talked about our senses and practiced storytelling with these 5 senses puppets, and had some fun making this germ blow painting art for kids. So many awesome activities that are engaging and educational. 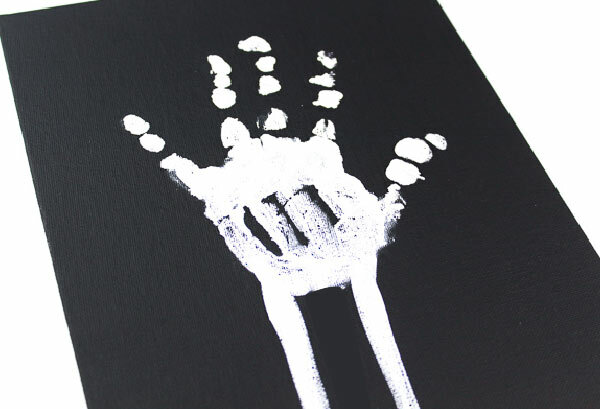 Today, we’re going to focus on arts and crafts with this simple skeleton handprint craft for kids. 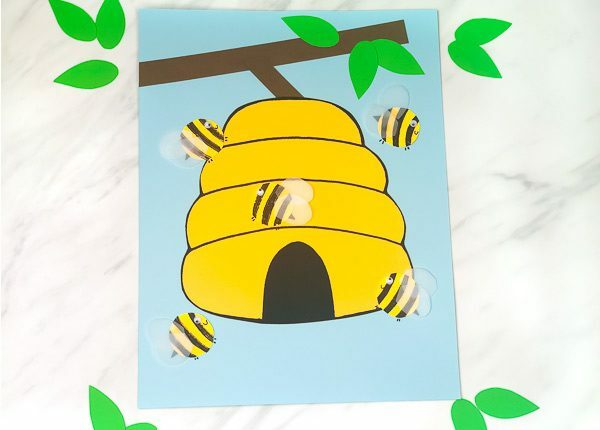 Read on below to see how easy this craft is to make at home with your children. 1. 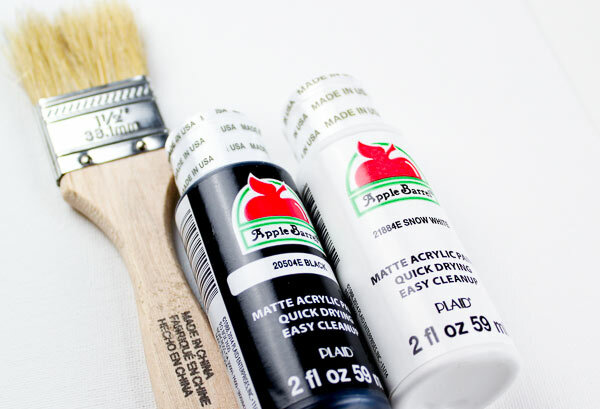 If you’re using a white canvas, paint the entire canvas black. Allow the paint to dry completely before moving on. If you’re using black cardstock, skip to #2. 2. 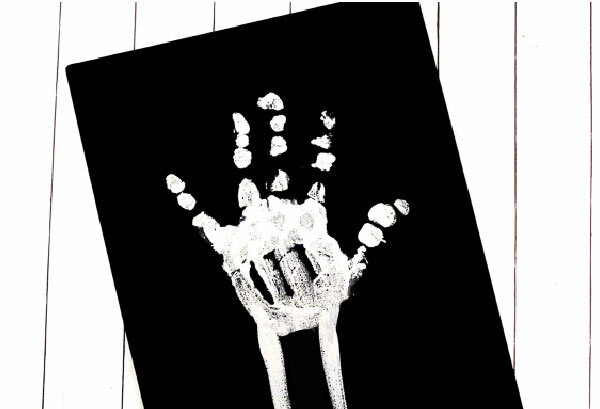 Paint your child’s hand with white paint, similar to a skeleton hand, as shown in the picture. 3. 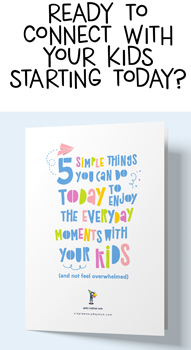 Gently press your child’s hand down in the middle of the canvas and press down firmly. 4. 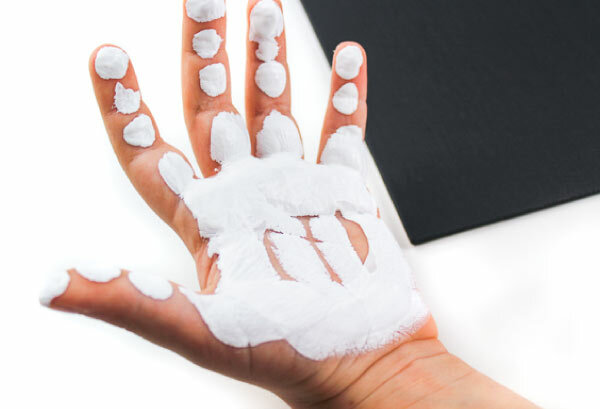 Pull your child’s hand up in one motion to avoid smearing the paint. 5. Allow the paint to dry completely. 6. Paint 2 white lines below the handprint to resemble a skeleton’s arm bones. 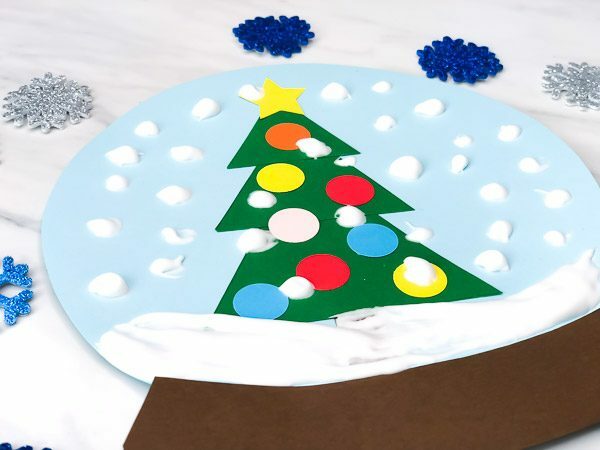 If you just want your kids to have a fun craft, that’s all there is to it! 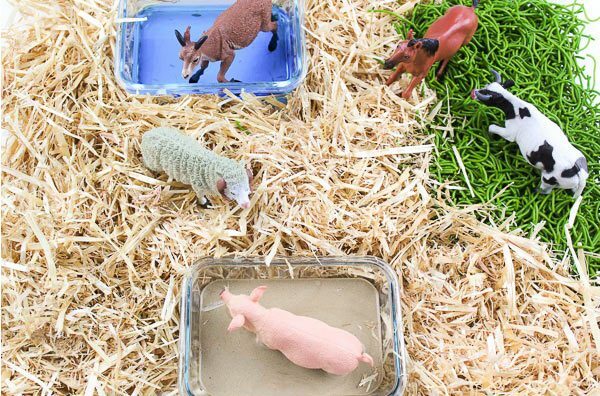 This is a perfect craft for preschoolers to learn a bit more about the way their bones look. And, if you child loves handprint crafts, check out our dinosaur handprint art project, handprint fish craft, and our handprint bear craft. If you have older kids and you’re looking to make this X-Ray craft more educational, you can use the printable below (download at the end of the post) to label the major bones of the hand and forearm. 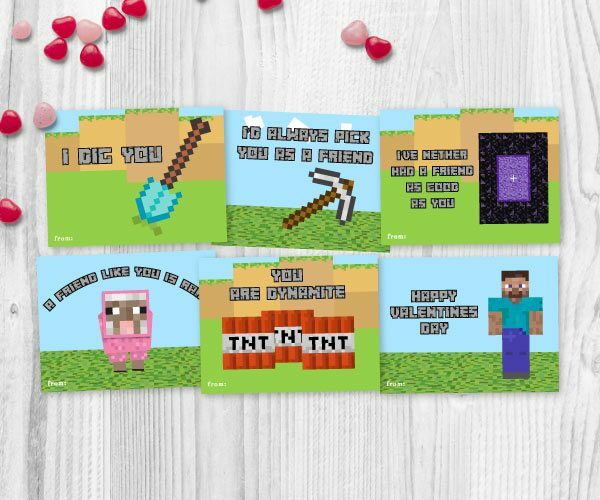 Have your child reference the skeleton printable and find the corresponding sections on their craft. To make it simple, the reference guide breaks the bones into the phalanges, the metacarpals, the carpals and the radius and ulna. 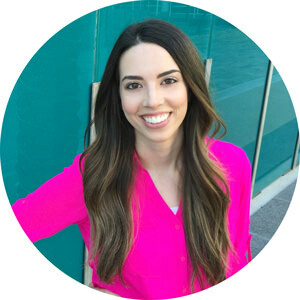 After you discuss the different parts of the hand and their common names, your kids can write out the names using the marker and the white strips of cardstock. Use some glue to attach them next to the “bones” and now this craft is fun and a great learning opportunity! 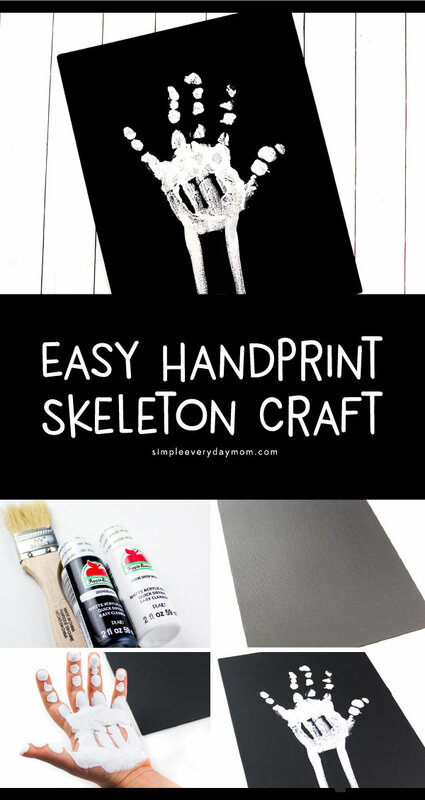 This skeleton craft can also be perfect to make during Halloween too. Don’t forget to download your free printable hand skeleton reference guide below.